Local Landmark Nominations - Front Range Research Associates, Inc.
Front Range prepares Denver Landmark applications. The firm has prepared four district nominations and seven individual designations. O’Kane Farm, Lakewood, Colorado, Local Landmark Application (2016-17). The City of Lakewood engaged Front Range to prepare a local landmark application for the O’Kane Farm, a resource associated with the early agricultural history of east-central Jefferson County for its role as a dairy farm. Settled by William W. Fraser in 1888, the farm was acquired by Irish immigrants Bernard “Barney” and Elizabeth O’Kane in 1901, and the family used it for agricultural purposes until ca. 1978. It notably housed the O’Kane’s Harp Dairy in the early part of the twentieth century. The O’Kane’s son, Bernard “Barney” Jr., grew up on the farm and resided here from his birth in 1918 to his marriage in 1958. He was elected to the Colorado State House of Representatives in 1954 and as District Attorney for the 1st Judicial District in 1956. O’Kane’s four-year-tenure as District Attorney was marked by his tenacious campaign to eradicate the district of illegal gambling, gaining him widespread publicity and numerous enemies. The Jefferson Sentinel named O’Kane its Jefferson County Man of the Year in 1957, noting that he kept his campaign promise to eradicate gambling. The nominated area includes representative examples of property types typically found on a small farm, including residences (a main house and bunkhouse), a barn, and general outbuildings. Packard's Hill Historic District, Denver, Colorado (2017). Front Range produced a Denver landmark application for the Packard's Hill Historic District in northwest Denver. The 173-resource district is significant for its history and architecture and lies northwest of Lowell Boulevard and West 32nd Avenue. It encompasses parts of three early subdivisions: Packard’s Hill (1887), Highland Place (1888), and First Addition to Highland Place (1889). City Council approved the area as Denver's 53rd historic district in September 2017. The project was funded by a State Historical Fund grant to Historic Denver, Inc. Many neighborhood volunteers aided the project by taking pictures, performing historical research, and publicizing the district. This Old House magazine selected the Ghost Historic District as one of the nations "Best Old House Neighborhoods 2011" and featured a photograph taken by Laurie Simmons. 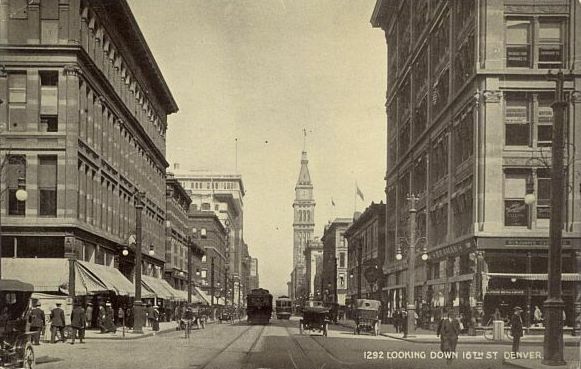 In August 2010, the Denver City Council unanimously approved the 206-building area as the city's 50th historic district. The overwhelmingly residential area is significant for its architecture, history, and geography and is notable for its large, well-preserved Edwardian style dwellings. Front Range prepared the application for residents and Historic Denver, Inc.
A 110-building historic neighborhood in North Denver featuring elegant late Victorian and early twentieth century dwellings in a subdivision established by Denver pioneer Hiram Wolff. 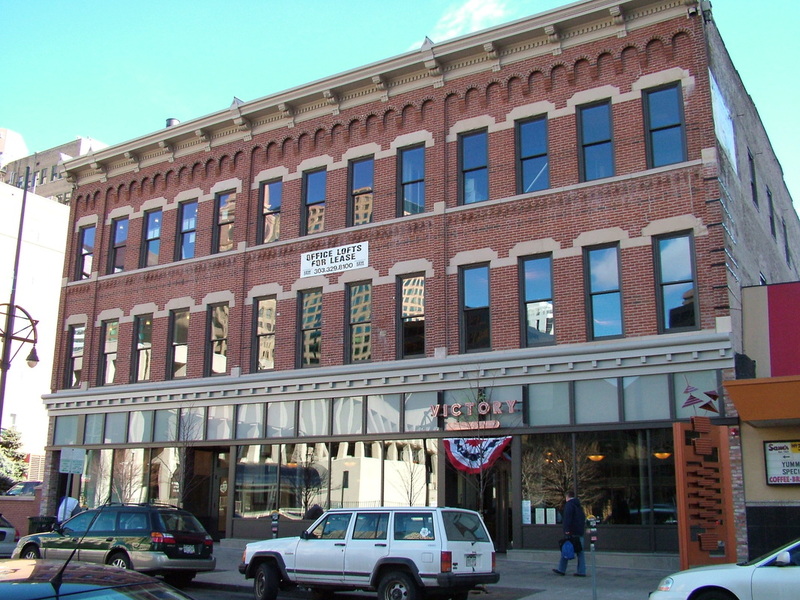 This three-story commercial building in downtown Denver was constructed by real estate developer and later Denver Tramway President Rodney Curtis and designed by early Denver architect Leonard Cutshaw. The building notably housed the Baur Candy Company, the favorite confectionery and restaurant of generations of Denver citizens, and one of two historic buildings on the block to survive the city’s urban renewal era. A Denver Landmark application form for an innovative discontiguous historic district including 43 historic buildings in Downtown Denver. Thirty of the buildings in the district are individual landmarks and/or listed in the National or State Register. The nomination approach and designation received national recognition. 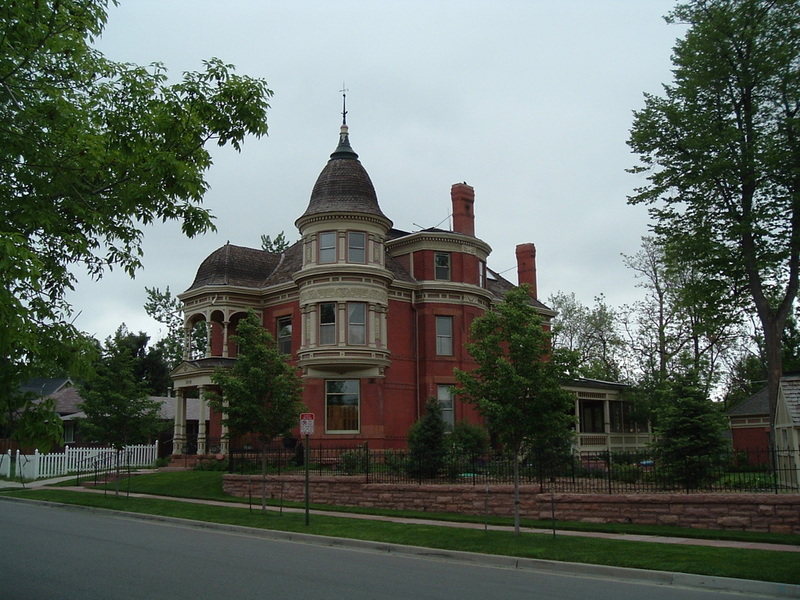 This five-block linear district extends along Pennsylvania Street from East 10th Avenue to East Colfax Avenue in Denver's Capitol Hill neighborhood and includes the famed Molly Brown House Museum. The project included historical research, photography, mapping, and meeting presentations. Designed by architect Glen Wood Huntington and completed in 1909, this two-story Denver Fire Department firehouse provided fire protection to the Highlands neighborhood until deactivated in 1975. Talmadge and Boyer Terrace and Commercial Block, Denver, Colorado (1995). A large, two-story brick residential terrace with an attached commercial component in North Denver. Sarah J. Fager built and resided in this ca. 1883-85 frame residence on Umatilla Street in North Denver. Working class families resided in the house during the twentieth century. Architect Francis Pillsbury designed this 1931 Denver Fire Department firehouse on Washington Street that served the Five Points area. African American firemen staffed the station until the desegregation of the department in 1958. Clarence F. Holmes, Jr., House, Denver, Colorado (1994) The residence in Northeast Denver of Clarence F. Holmes, Jr., an early-twentieth-century African American dentist and civil rights activist. This 1948 Catholic church, designed by John K. Monroe, serves a mostly Latino congregation in North Denver. The building features murals by Latino artists and was a center of social, economic, and political activism in the late twentieth century.